As I write this, the rain is bucketing down and I’ve never felt less summery. But one glance at my nails is enough to put the biggest smile on my face, nonetheless. I’m wearing Espadrilles, a creamy, sun-drenched orangey-red shade of Le Vernis, €23.50, that’s basically summer in a bottle - and I’m obsessed. As are lots of you, it seems, as it’s flying off the counter: partly because of the truly awesome formula (this here is a true one-coater), partly because it looks amazing with a tan, and also because, Chanel. This is but one standout from a glorious, summery edit - full of flattering, sun-kissed shades of coral, orange, bronze and gold - that had me oohing and aaahing as soon as the collection arrived. 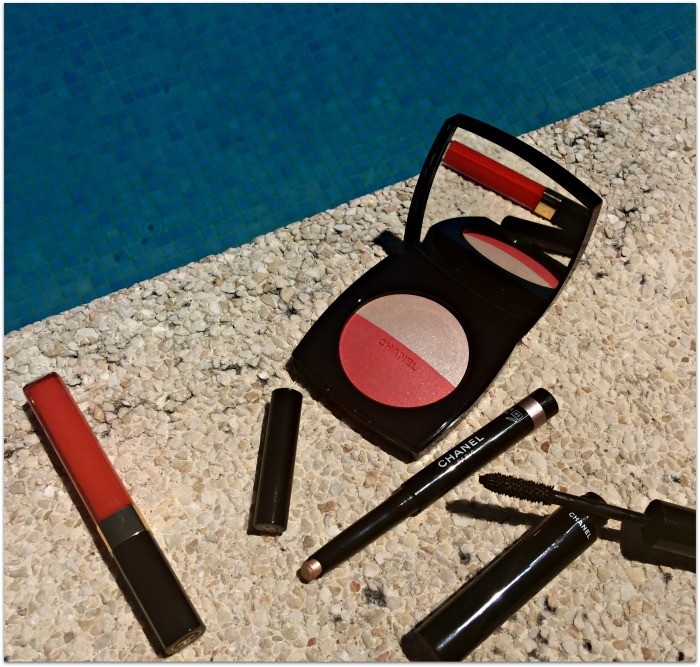 You’ve probably guessed that these photos weren’t taken in Ireland but in sunny Mallorca, where I got the chance to see how the products fared in the heat. The compact is one of two limited edition Les Beiges Healthy Glow Multi-powder duos, €55. 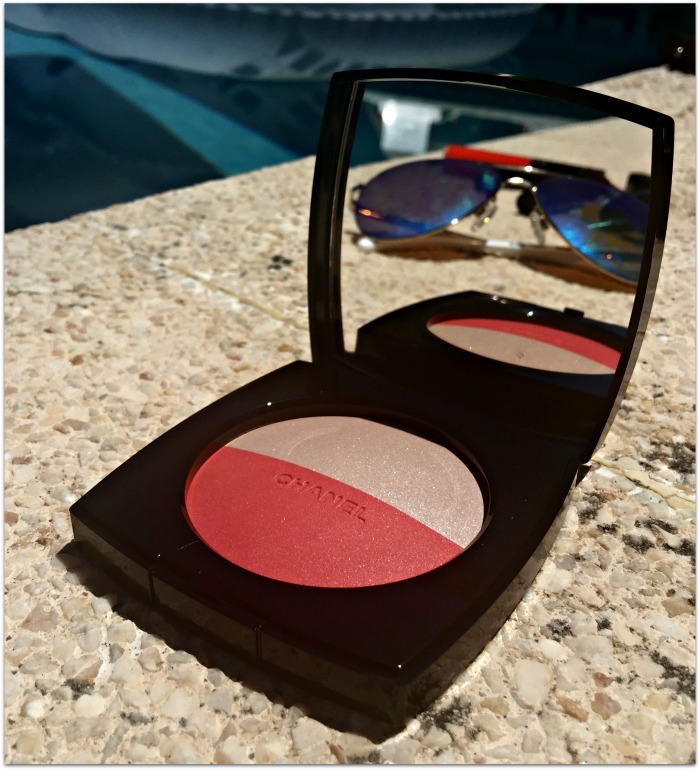 No 1 has bronzey tones and would be great to contour, whereas this one, No 2, is more of a blush and highlight duo. The top shade, a light pinkish beige, lends skin a soft sheen while the coral-red has a finish that falls between matte and satin. 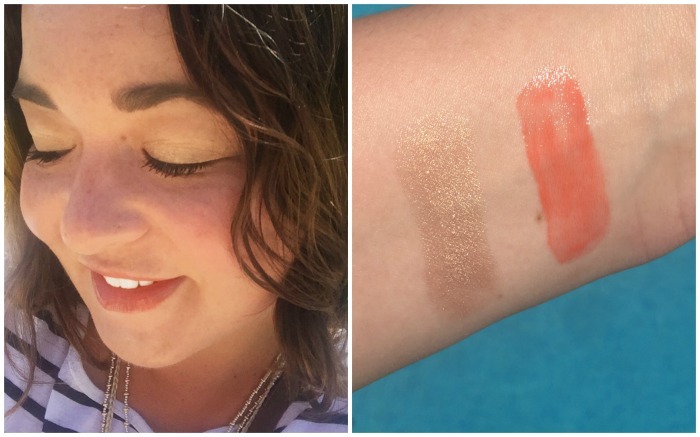 This shade is richly pigmented, long lasting and blends out nicely; as a bonus, it’s super flattering in the sun. For eyes, there’s a gorgeous powder shadow quad that will get its own post, but it didn’t make it to Mallorca. Instead, I brought the easy-peasy stylo shadow stick in Beige Doré, €28.50, a sunny golden shade that I wore most every day; it's not part of the summer collection, but launched shortly before as part of a small edit for eyes. It didn’t crease, lasted well, looked lovely and felt fresh and cooling on the lids – sure what more could you ask for? 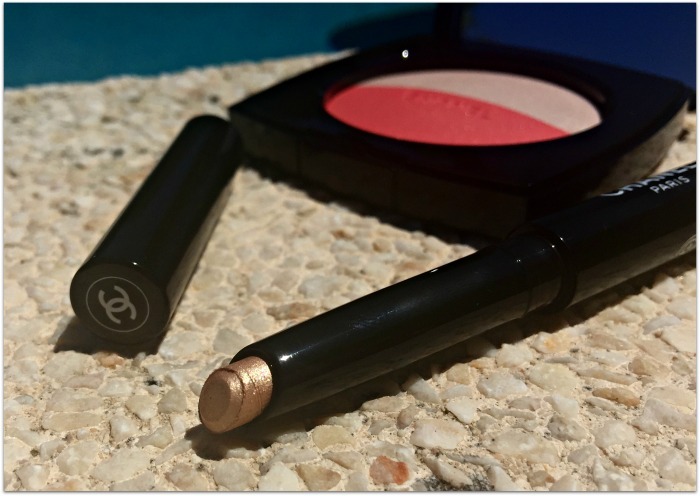 I’m a devotee of Le Volume de Chanel mascara, €32, and the waterproof version is great, giving loads of length, curl and volume in just one or two coats; this bronzey shade, Mirage, made a change from my usual black. 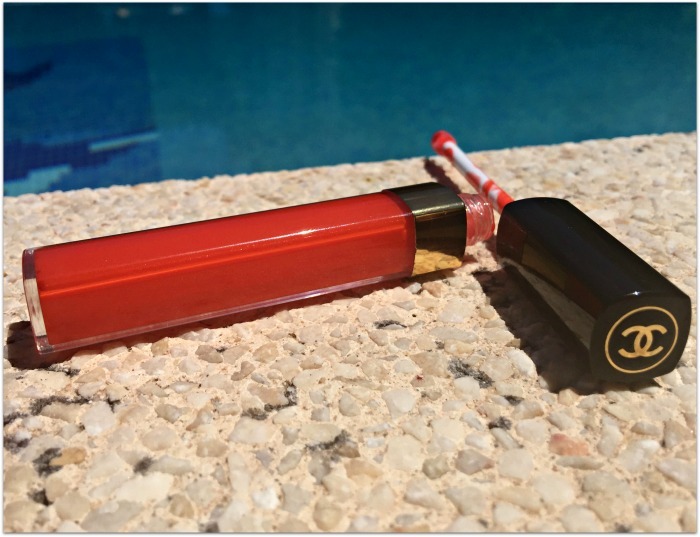 The glosses in the summer collection feel lighter and more fluid than the regular Glossimer range; Levres Scintillantes Sirocco, €28, is a sparkling orange that is sheer enough to wear every day, but punchy enough to make a statement. If that little lot hasn't put you in the holiday spirit, I don't know what will! What are your standouts from the collection? 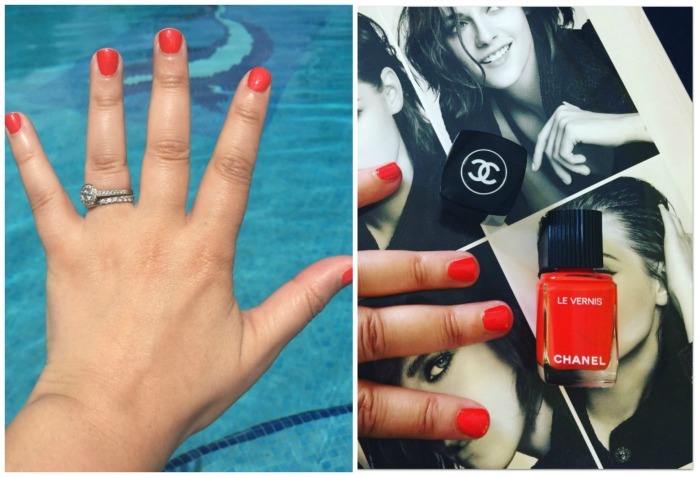 Did you hear about Chanel's new nail polish formula yet? It's all kinds of amazing.